I was inspired for this after my Spicy Thai Chili Beef recipe from a few weeks ago. I wnated to try this marinade on some other proteins. You can find chicken legs for cheap! 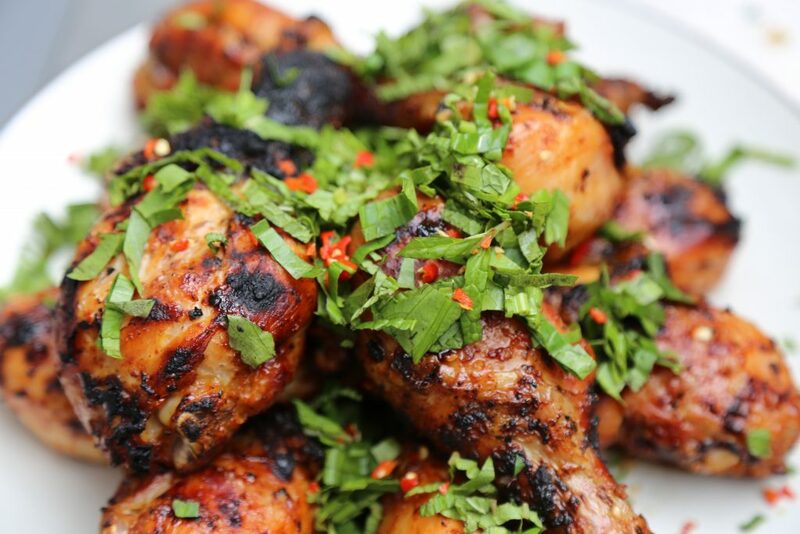 This is a great party recipe and wings can be substituted for legs if you want. I ended up using the leftover chicken meat pulled off the bone as a salad topper the day after with a lime and culantro vinaigrette. Winning leftovers! If this looks familiar it’s because it is. 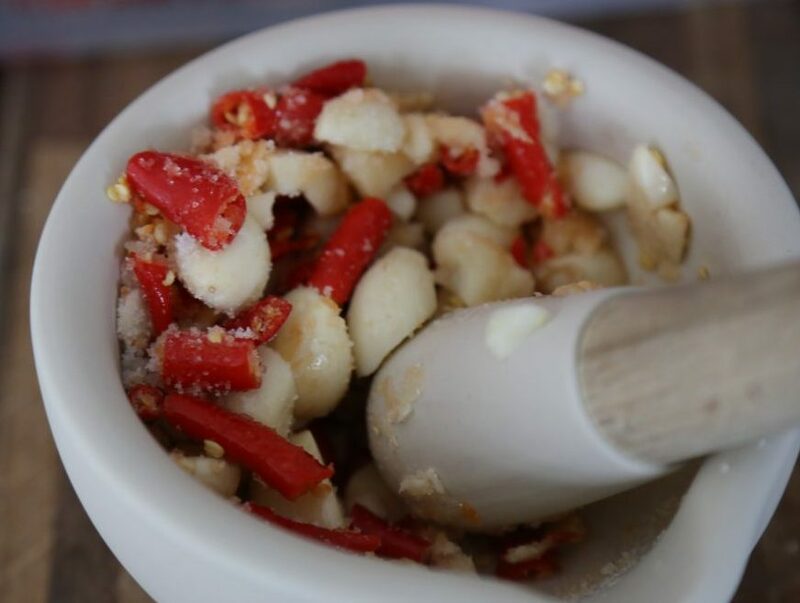 Pound garlic, chilis and sugar in mortal and pestle. Add soy sauce, fish sauce, lime zest and lime juice, and salt. Okay, I admit it. I couldn’t get this stuff to a consistency I liked so I used a blender after I took this picture. 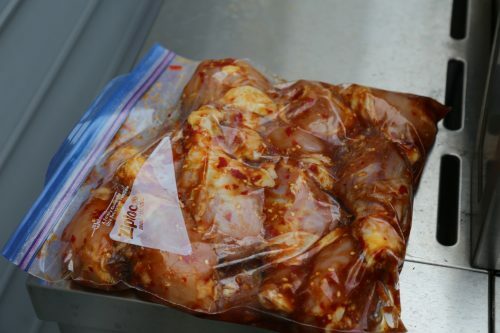 Add marinade to chicken legs in a ziptop plastic bag and marinate for as long as you like. I was in a hurry so it was about 30 minutes but I wish I had let it go for at least a few hours. Grill over medium heat for ~20-30 minutes (or until internal temperature of 160 close to the bone), rotating and brushing with extra marinade as you go. Once the chicken looks beautiful and is fully cooked remove it from the grill and top with roughly chopped culantro, mint, and a chopped fresh Thai chili for some color and fresh heat. Copyright © Powerful Pepper Co. LLC. Powered by Social Network MD.